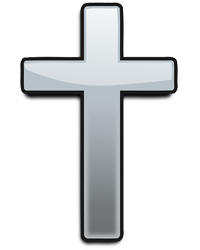 Obituary for Frank E. Waldron | Matthew X Merlin Funeral Home, Inc.
Frank E. Waldron, 78 of New Derry, died February 2, 2019 at the Keeper of the Flame, Blairsville. He was born September 12, 1940 in Superior, PA, the son of the late Andrew and Irene (Shellhorn) Waldron. Prior to retirement Frank worked as a superintendent at Pervarnik Brothers Inc., Latrobe. He was a member of New Derry United Methodist Church and New Derry Sportsman Club. Frank enjoyed computers and going to the casino. In addition to her parents, Frank was preceded in death by his wife Betty L. (Davis) Waldron in 2017 and three brothers Richard, Gene, and Charles Waldron. Frank is survived by his two daughters Angel Waldron Rice and husband Hubert “Jiggy” of New Derry and Lisa J. Hartung and husband Richard of Trafford; one brother Neal Waldron and wife Jennie of New Alexandria; one sister Anna Frayvolt of Derry Twp. and several nieces, nephews, and friends. A graveside service will be held 11AM Tuesday March 26, 2019 in Coles Cemetery, Derry with Rev. Thomas Kennedy officiating. The family has entrusted the funeral arrangements with the Matthew X. Merlin Funeral Home Inc. 529 N. Chestnut St. Derry, PA 724-694-8331. In lieu of flowers memorial contributions may be made to the Arnold Palmer Cancer Center 200 Village Drive Greensburg, PA 15601 Online condolences may be made to www.merlinfuneralhome.com. The family would like to invite his friends and family to a luncheon following the graveside service at Blair’s Tavern, New Derry.